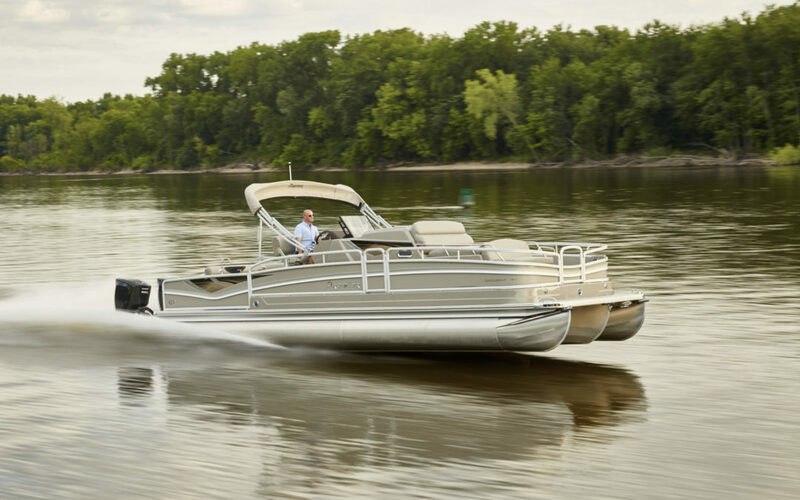 Premier Marine has announced the introduction of the Encounter, its first center-cabin pontoon model. 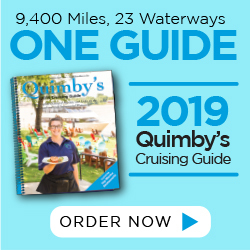 Available in 290 and 310 versions, the Encounter comes standard with a 10-foot-wide deck, 42-inch center tube and sleeper cabin. 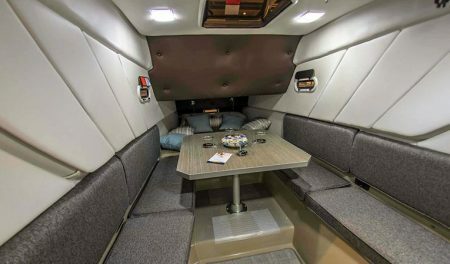 The center-console cabin, located under the raised helm, includes a plush sleeper with mattress, custom bedding and pillow package. Also standard in the cabin are a head, internal speakers, deck hatch, port lights and a convertible dining table. Learn more about Premier Marine and the Encounter at pontoons.com.